The best Motorola two-way radio accessories are those that were made by the manufacturer for specific Motorola radio models. In addition to uncompromising quality and compatibility, they were designed to enhance the operation and performance of the radio. The line of Motorola DLR radio accessories include time-saving items and devices to keep you light on your feet while you stay in touch with the rest of your staff. Top products include the comfortable push-to-talk Motorola HKLN4604 swivel earpiece microphone and the lightweight temple transducer (Motorola RMN5114), for those who don’t like wearing an earbud. There are also multi-unit chargers, which save time and energy. Top Motorola RDX radio accessories include their remote speaker microphone, which is great for those who don’t like having something on their heads but who still require hands-free radio operation. The discreet earpiece and microphone is ideal for staff members that must maintain a professional appearance for customers. The Motorola rapid charger kit is helpful if you’re in a hurry and need your radio battery charged fast. Designed for use with Motorola RM radios, top accessories for these radios include the Motorola RM cloning cable, which lets you transfer settings effortlessly from one radio to others. Other top Motorola radio accessories include stubby and whip antennas, for changing between outdoor and indoor communications and high-capacity batteries to keep radios running during extra-long work shifts. At Tech Wholesale, you’ll find these genuine Motorola two-way radio accessories at the best prices. We conveniently organize them by radio compatibility. Just choose your radio model and see what’s available. 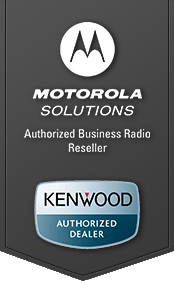 As an Authorized Motorola Dealer, we carry the latest accessories for Motorola radios.